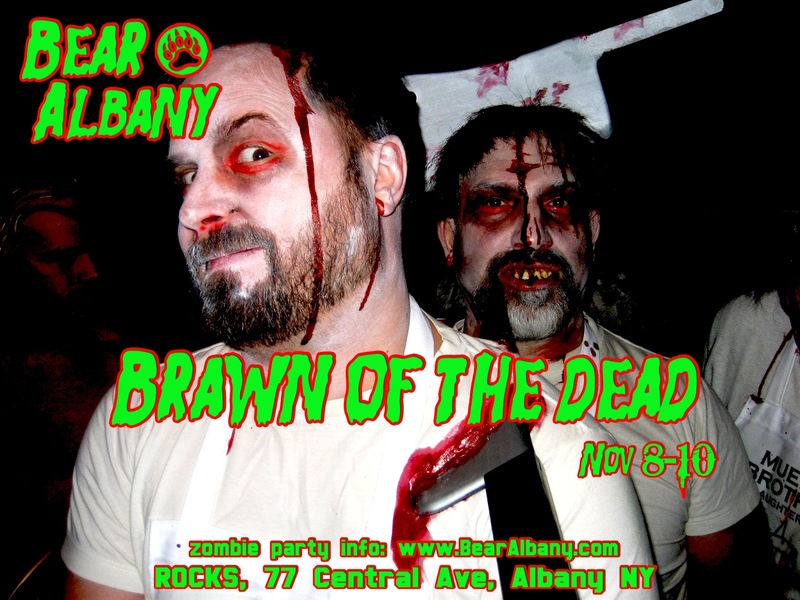 The season of the witch is upon us and we're wrapping up the year with our final 2013 event, BRAWN OF THE DEAD, zombear party! That's right, we're celebrating the walking dead and turning the club into a ghoulish nightmare for the evening. We hope everyone can join in the fun by either being a zombear or a victim. Either way, you're sure to wind up with a mouth full of fur and get sprayed with warm bodily fluids. As always, be sure to BOOK YOUR ROOM EARLY at the Host Hotel because they usually sell out pretty quickly and you don't want to miss out this mega fun party!